Dr. Jasser is the Chairman of the Board and founding member of the American Islamic Forum for Democracy (AIFD). AIFD was formed by a small group of local Phoenix Muslim professionals in March 2003 as a startup think tank in support of the expression of Islam which is in synergy with American democracy, the U.S. Constitution, and the clear separation of religion and state. AIFD was formed on the basis that the development of this ideology at the core of the American and global Muslim consciousness is the central mission necessary in order to ultimately defeat the threat of Islamism and jihadism. 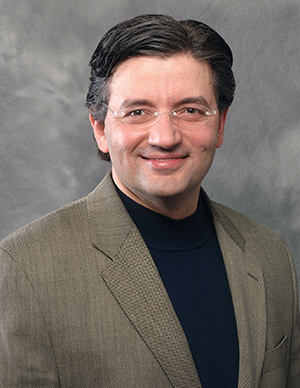 Dr. Jasser is the son of Muslim-Syrian immigrants and is a native of Wisconsin. He moved to Phoenix in 1999 after completing his active duty commitment with the United States Navy. Dr. Jasser received his B.Sc. from the University of Wisconsin-Milwaukee in 1988 and graduated from the Medical College of Wisconsin on a U.S. Navy scholarship in 1992. He completed his specialty training in internal medicine at Bethesda Naval Hospital in 1996. His tours of duty included Medical Department Head aboard the U.S.S. El Paso ('93-'94) which deployed to Somalia (Operation Restore Hope), Chief Resident at Bethesda Naval Hospital ('96-'97), and Staff Internist for the Office of the Attending Physician to Congress in Washington, D.C ('97-'99). Dr. Jasser received an Honorable Discharge from the United States Navy as a Lieutenant Commander in 1999. His highest military award is the Meritorious Service Medal which he received in 1999.
in early 2007, Dr. Jasser formed and now chairs a statewide Disaster Preparedness Task Force whose primary mission has been to inform and engage all Arizona physicians in disaster preparedness. He also chairs the Bioethics Committee for Banner Good Samaritan Regional Medical Center. As a devout practicing Muslim, Dr. Jasser has always been very active in the study of Islam and its intersections with American culture. He has been active in multiple efforts at interfaith work during his years in the U.S. Navy and into civilian life in Phoenix. In 2000 he and a leading local Rabbi founded the Children of Abraham, an active Muslim-Jewish dialogue group in Scottsdale, Arizona. Dr. Jasser has also served as the Muslim representative on the Board of Directors of the Arizona Interfaith Movement since December 2001. Since 9-11, Dr. Jasser has felt that the primary responsibility for combating the ideology of terror and the overriding ideology of political Islam rests with Muslims. While the vast majority of Muslims are against terror as a means, it is a defeat of the ends of political Islam which Dr. Jasser and AIFD believe will ultimately win the global war against Islamism. Few other Muslims have yet publicly joined in this ideological battle against Islamism within Islam. Dr. Jasser's perspective, as the son of Syrian immigrants who left the despotic oppression of Baathist Syria is unique. His view which he believes to be common among American Muslims is that is that he is able to practice his faith more freely in the U.S. than in any so-called Muslim nations. Thus, to him and AIFD, being Muslim is not political. It is about being American. The conflict between Islamism and Americanism as a societal and governmental system is at the center of the current global conflict. Our victory relies upon an expression and practice of Islam which separates religion and politics. Dr. Jasser articulates a need for regular practicing Muslims to retake the intellectual and ideological reigns of their faith away from political clerics toward a separation of Islamism from Islam and toward a purely spiritual Islam. He is one of the moderate, anti-Islamist Muslims featured in the controversial PBS film, Islam v Islamists produced by ABG Films, Inc. This film was initially banned from distribution on PBS stations as originally intended in the Crossroads program but was then aired in a limited distribution to some affiliates. It received national acclaim in its release on the Fox News Channel in October 2007. Dr. Jasser has also been an advisor on Islamic affairs to the U.S. Embassy in the Netherlands. He initially participated in the Diversity Dialogues conference of November 2006 between American Muslims and Dutch Muslims. He then returned in December 2007 to continue the dialogue with Dutch leadership on ideological strategies in countering the threat of political Islam to the west while engaging anti-Islamist Muslims. Dr. Jasser has participated in a number of panels and given a number of speeches on Islam, Islamism, and democracy at the Hudson Institute, Tufts University, and the Joint Forces Staff College in Norfolk to name a few. Dr. Jasser was presented with the 2007 Director's Community Leadership Award by the Phoenix office of the FBI. He is also a member of the Committee on the Present Danger. Dr. Jasser is a regular columnist and contributing editor for FamilySecurityMatters.org and a frequent columnist on Islamic affairs for the Arizona Republic. He is a CNN Contributor appearing regularly on the Glenn Beck Show of CNN Headline News and also appears frequently on the Fox News Channel. Dr. Jasser has also been published in the National Review, Middle East Quarterly, Washington Times, and Beliefnet. He is a frequent national radio and television commentator and featured speaker about Islam, Islamism, and counterterrorism. 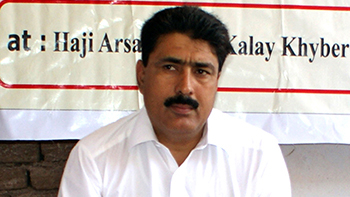 His writings can be found at the website of the American Islamic Forum for Democracy (www.aifdemocracy.org). Dr. Jasser and his wife and their two children reside in Scottsdale Arizona.